BOOK AN APPOINTMENTEMAIL US TODAY! 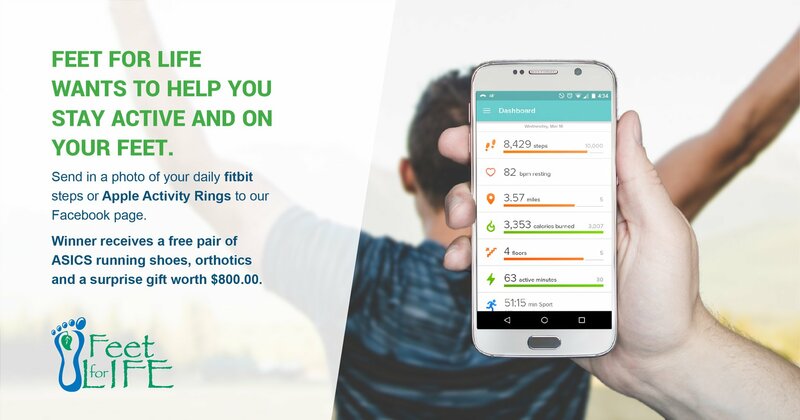 Send in a photo of your daily #fitbit or Apple iPhone steps to our Facebook page. The winner receives a free pair of ASICS running shoes, orthotics and a surprise gift worth $800.00.